Posted July 20th, 2018 by pristine & filed under House Cleaning Services. If you’re anything like me, you’ll know how boring house work can be. For the majority of home owners, maintaining your house can be an uphill battle especially when you’ve got so many other tasks to juggle at too. It’s true, hiring a home cleaner might be one of the best things you can do, not only will you save time but you’ll also get precious time back in your day to do things you actually enjoy. There are plenty of choices for house cleaning services: you can choose to hire an individual to work with on a regular basis or it might be just as easy to use a reputable cleaning company where you know you are working with trusted and vetted home cleaners. When choosing a professional house cleaning service, the old saying of “good help is hard to find” still rings true. To help you find the right cleaning service for your needs, we are sharing 10 Factors to Consider When Choosing a House Cleaning Service. 1. Do They Suit Your Schedule? Before you look at cleaning services, you need to decide how often you want a cleaner to come to your home. Firstly, how much do you need to clean? Secondly, and maybe more importantly, you need to make a decision on the frequency your home will be cleaned. Maybe you want to have the house cleaned by professional cleaners twice a week, or you just need a major sweep once a month? These are some of the initial areas you’ll need to consider before you hire a cleaning company. Ideally, you should go for cleaning services that will fit your schedule, and a cleaning company that will accommodate your needs at times that are most convenient for you. 2. Do They Understand Your Expectations? A vital step in hiring a cleaning company is making your expectations clear. During an in-home or a phone consultation with a prospective cleaning service, communicate your concerns and expectations, so the company can provide you with a pricing and a cleaning scope that meets your specific demands. Do you want the bathrooms clean? Do you want all rooms vacuumed? Do you want the kitchen scrubbed? The more you know what you need to be cleaned, the more specifically you can speak to a cleaning agency to provide a cleaner to your home. Using your requirements they’ll be able to advise you, based of their experience, about whether you need an ad hoc or regular clean and at what frequency. 3. Are They Responsive To You? A good cleaning company will focus on the customer experience from the time you inquire about the services, until the time they complete the cleaning services. If you find that the company is responsive and takes the time to address all your concerns about the service, then it is most likely that you will have a great experience in hiring that company. This is because responsiveness is one of the first indicators of a cleaning company’s consistency, reliability and whether you can trust them. Note: Observe the time that it takes the company to respond to your queries, and the way they handle your concerns, and you will get an idea of how reliable they are. Ask professional cleaning companies for any feedback from their previous customers who can vouch for the quality of their services. A good cleaning company will not hesitate to show you written recommendations and customer reviews because they know that these references reflect the customers’ trust. By checking what previous and current customers have to say about the company, you get a good sense of what results you can expect when you hire them for your own home. Past testimonials can also give you a good picture of the quality of work and overall professionalism of a home cleaning company. At Pristine Home we have a 5 star rating from our customer reviews. This is one of the most important factors to consider before making a hire. The cleaners will spend a considerable amount of time inside your home to complete the service, and you can’t always be there to keep an eye on what they are doing. You want to ensure that you hire reputable cleaning teams and that the you trust the cleaner/s that service your home. Ask any cleaning company you are looking to hire what security checks they have in place to ensure the safety of your home. At Pristine Home all of our cleaners are personally interviewed and vetted to ensure we offer a trusted service to our customers. 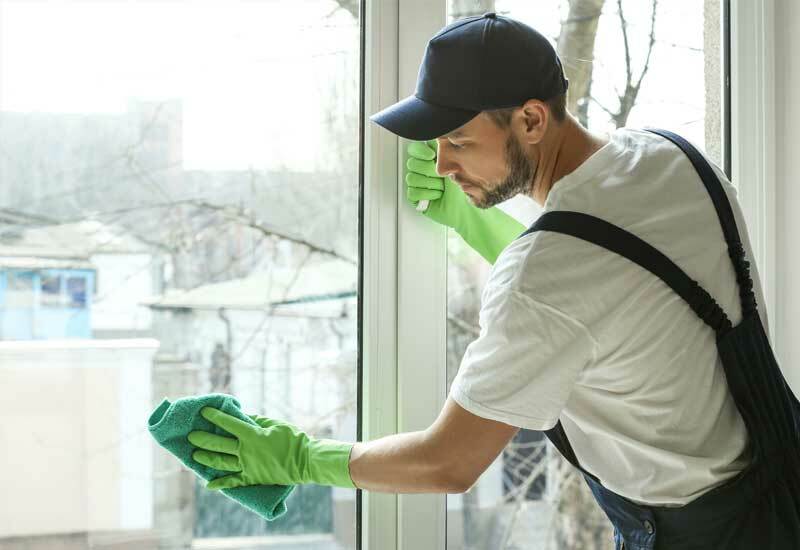 A reputable cleaning company will conduct background checks and drug testing on their employees to make sure they are honest and trustworthy. Another important thing to ask your prospective home cleaning company is their policy regarding keys and key cards. How do they determine who is eligible to access the building, and manage the key cards? If the cleaning company do not have ready answers for these questions, then you might want to look elsewhere. Look at a company’s years of experience in the cleaning industry. Have they been providing cleaning services for a decade, or are they new to the industry? You do not necessarily have to cross out newer companies in your list, but it pays to go for a company that has years of experience and has the necessary knowledge to properly clean your home. A professional cleaning company who has been an industry for a long time probably has employees who also have the experience needed to work in cleaning your home. 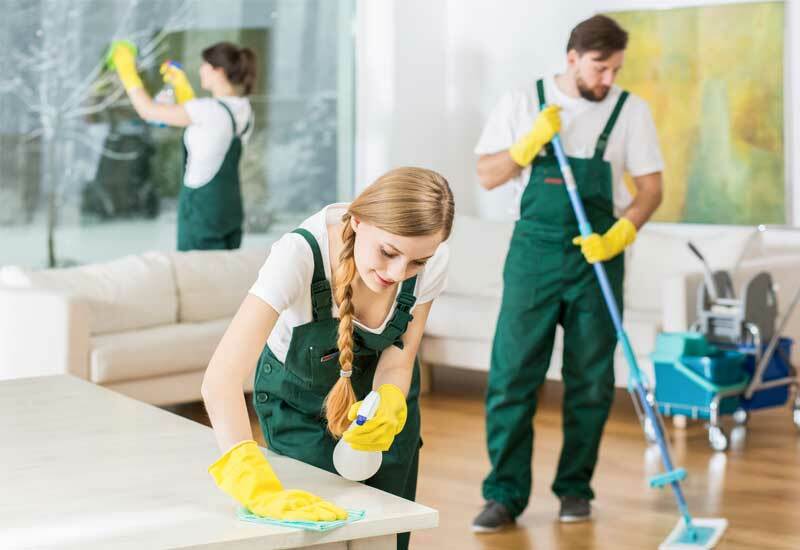 They know the ins and outs of home cleaning as well as the intricacies involved in cleaning buildings and are highly efficient while maintaining the standard you expect. It’s true, experience is a vital factor to consider, but it’s far better when backed by specialised training in their field of work too. Ask the employees what training they receive, and how often they have it to keep their skills updated. Professionalism is one of the most vital attribute that any home cleaning service provider must possess. 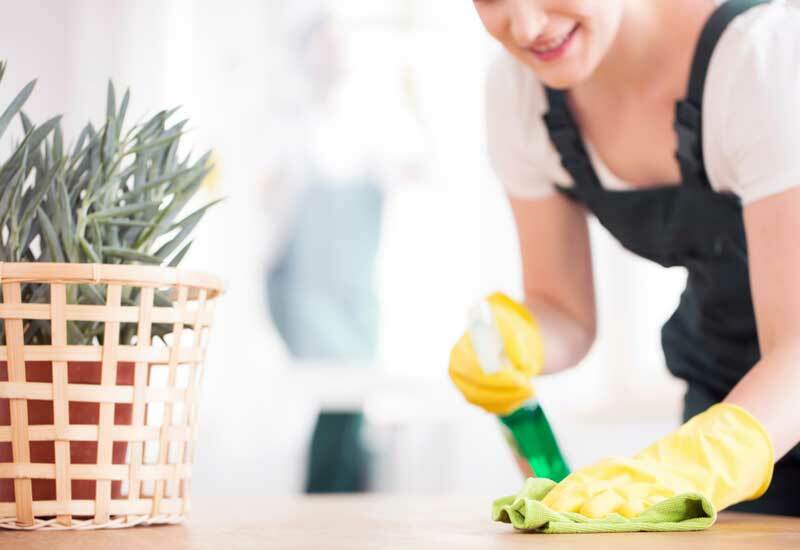 When you hire cleaners, it means that they will often be at your home on a regular basis and spend many hours cleaning every room without supervision. As such, you want to hire a company that employs cleaners who value professionalism and reliability. Professionalism involves being dependable when it comes to scheduled cleaning. For example, your cleaning service should show up on time, and avoid cancelling at the last minute. The cleaning company must have back-up teams in case a member of the house cleaning team fails to make it to a scheduled cleaning because of illness or emergency. You know that a company values professionalism when they maintain accountability for the delivery of their services: do they provide the chance for you to leave a feedback? Do they have a formal complaint procedure? These are just some of the questions you need to ask before making the hire. Hiring home cleaning services makes life convenient especially for busy people. But aside from the cleaning service, make sure that your provider makes the overall process convenient for you. This means that the provider is willing to accommodate your needs, as well as your schedule. Great service means providing convenient payment options to customers and having a client support team that handles customer’s concerns, among others. At Pristine Home it’s easy to book, simply enter your postcode online and book a cleaner in less than 60 seconds. From the moment you book our team will manage the rest making it incredibly convenient for you. Consistency in the cleaning industry means holding strong practices and applying them to every household cleaning service to ensure that the same level of quality is maintained from one customer to another. One way to find out whether a cleaning company provides consistent high-quality service is to check if they have been working with the same clients for years. Clients who are happy about a company’s service will hire them repeatedly because they know that they will be receiving the same level of quality every time. When you hire a cleaning company, you first must make sure that you can trust them to perform the tasks with utmost care to your property. The consistency must be kept regardless of which members of the cleaning team is performing the required tasks. 10. Do they use quality equipment & products? Another important factor to consider are the products and equipment the professional cleaning company has at its disposal: Do they buy local? Are they investing on buying quality equipment or are they looking for ways to save on tools? Do they have the required equipment needed to provide a thorough cleaning of your house? Do not hesitate to ask the company these questions before hiring them to clean your home. There are cleaning companies that bring along their own supplies, while there are others that expect the homeowners to provide the equipment to be used for cleaning. When deciding on which cleaning company to hire, it is best to find one that utilizes tools and products that fit your needs. If you have kids and pets at home, it may be best to choose a cleaning company that uses environmentally friendly materials to prevent exposure to potentially harmful chemicals. So what’s the next step to hiring a Cleaner? If you’re located in Sydney, why not contact Pristine Home as we are one of the fastest growing home cleaning services. It’s easy to book your next clean, simply fill out your postcode and get an instant online quote within 60 seconds. Our selection process means that all our cleaners are interviewed personally and fully reference checked. This is because we understand that the honesty, integrity and discretion of our cleaners is paramount to our business. Our clients are important to us, which is why we do our very best to provide you with not only the perfect cleaner match for you and your home, but also the best customer service care around. So what are you waiting for? Stop using your precious free time cleaning and get in touch with us today.